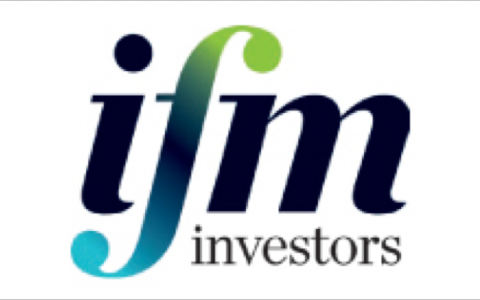 IFM Investors (IFM) was established in 1990, with a unique ownership model consisting of 30 industry superannuation funds. This model included a unique value proposition – a single minded focus on superior return for investors not common in the funds management industry; a value proposition that has been a foundation for the development of scale and innovation. IFM is now regarded as one of the world’s leading asset managers. It has provided more than a decade of strong returns to investors and has become increasingly dominant in businesses such as infrastructure, credit and equities. While the business was very successful, the key challenge faced by CEO Brett Himbury and the leadership team was that rapid growth had resulted in some growing pains. The drive to impact on a larger and larger scale, needed to be built upon a resilient foundation. Since late 2012, IFM and TAP have engaged in a process to transform the business and set it up for the future. The process started with aligning behind a ‘plan on a page’ and financial plan. Initially this plan was heavily influenced by Brett, but over the years, has been intentionally shifted to the leadership team and their direct reports through a bottom up process. As a very analytical organisation, the leadership had a tendency to focus on their own spaces and how to set up their investments for success. While this was a necessity for managing billions of dollars of other peoples’ money, it didn’t help the team execute against the growth plan they had defined for the whole business. We worked together to align everyone behind shared aspirations, objectives and initiatives so that the team executed on the plan with the same drive that they focussed on investors. A greater level of internal capability to sustain the effort over time was a critical success factor. As a part of the engagement, TAP transferred capability to IFM leaders to act as change agents. The capability building and knowledge transfer was focussed on both the ‘art’ and ‘science’ of transformation. The ‘science’ focussed on business planning frameworks and engagement techniques. The ‘art’ focussed on how change agents think, behave and see the world differently to managers. This has all been supported by intensive coaching. Engaging stakeholders in a disciplined way became more important than ever with the refreshed aspirations. TAP supported IFM with engagements at the Board level and with key clients and investors. Underpinning all of this work was a very disciplined and comprehensive leadership transformation agenda. The leadership team and their direct reports have undergone a process of assessment and coaching to align their leadership impact with the plan. One of IFMs aspirations is to be the world’s most trusted fund manager. A key measure of this aspiration is the ability to influence state, national and global dialogue about retirement saving and infrastructure investment. IFM has been increasingly involved in the establishment of public policy on asset recycling with influence at the G20 and B20, Federal and State levels in Australia and a growing ‘policy presence’ in Europe, Asia and North America. Most recently, IFM has been involved in helping the US Federal Government identify an approach to rejuvenating their aging infrastructure while stimulating the economy. The external shift has contributed to greater success in infrastructure, being one of IFMs core businesses. IFM made a number of marquee transactions including the purchase of Port Kembla and Port Botany, the purchase of a share of a Mexican toll road, the$7.2 billion-dollar purchase of the Indiana Toll Road and $16 billion purchase of Ausgrid. The last of these deals was done in conjunction with AustralianSuper and represented the single largest deal of its type in the country. IFM reaches well beyond infrastructure; it has grown its infrastructure debt business ahead of plan, successfully grown its global equities business, implemented a new Private Equity model and trail blazed the way on a number of innovative equities products. Another of IFMs aspirations is to be a brilliant place to work. Over the past 5 years, IFM has built and retained a world class team. Leaders are now more consciously leveraging constructive leadership skills to inspire rather than manage their people. The measures of engagement rise each year, with the last 2 years each representing best ever performance. IFM’s financial results are compelling, including doubling the number of clients over the last 3 years, doubling the percentage of non-Australian clients, and increasing funds under management to more than $100 billion. Most strikingly, IFM has increased its valuation more than 30% over the 2016/17 financial year, making it one of the most successful asset management firms in the world. At the heart of IFM’s business is a cadre of values-based leaders, a unique business model and a commitment to the principles upon which the business was founded. As a result, IFM is perfectly poised to further accelerate its growth trajectory, enhance its dominance in infrastructure, expand its equities footprint and increasingly dominate new lines of business. “Since contracting with TAP, we have delivered an unprecedented set of results across our entire balanced scorecard, including financial performance, investment performance, customer advocacy, leadership effectiveness, employee commitment, global expansion, and our influence on public policy. In addition, we have developed a strong and sustainable capacity to execute. Ron continues to make an outstanding contribution. He demonstrates an unrelenting desire to support continued high performance in our business, and growth in our people. Peter continues to provide me with wise, pragmatic and valuable counsel, just when I need it. TAP is a genuine partner with a clear methodology that does truly align an organization. Their engagement model is unique, but what really differentiates them is their capacity to enable superior execution. The result is outstanding outcomes for all stakeholders.